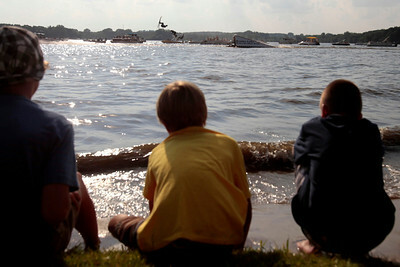 Kyle Grillot - kgrillot@shawmedia.com Adriana Gerstung, 6, watches the Wonder Lake Ski Team from the beach during the Wonder Lake 4th of July Water Ski Show at Center Beach on East Lake Shore Drive. Kyle Grillot - kgrillot@shawmedia.com Wonder Lake Ski Team members do flips off a ramp during the Wonder Lake 4th of July Water Ski Show at Center Beach on East Lake Shore Drive. 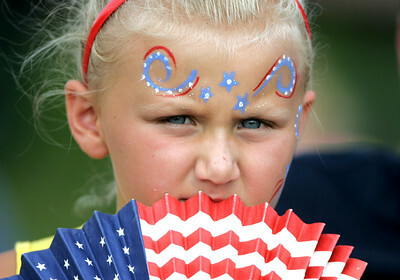 Kyle Grillot - kgrillot@shawmedia.com at the Wonder Lake 4th of July Water Ski Show at Center Beach on East Lake Shore Drive. 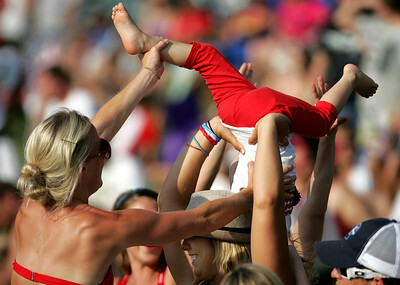 Kyle Grillot - kgrillot@shawmedia.com Kristen Freund (left) helps Brynlee Shuda, 2, keep her balance while her mother Olivia Shuda (bottom) holds her up during the Wonder Lake 4th of July Water Ski Show at Center Beach. 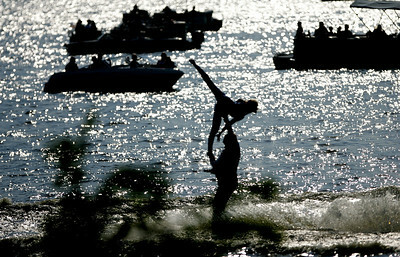 Kyle Grillot - kgrillot@shawmedia.com Erin Cullen is held up by Bill Hatmann, both of Wonder Lake during the Wonder Lake 4th of July Water Ski Show at Center Beach. Kyle Grillot - kgrillot@shawmedia.com Patrick Scully (right) hugs Kristy Hurckles, both of Wonder Lake after winning a raffle prize during the Wonder Lake 4th of July Water Ski Show at Center Beach. Kyle Grillot - kgrillot@shawmedia.com The Wonder Lake Water Ski Show Team performs durning the Wonder Lake 4th of July Water Ski Show at Center Beach. 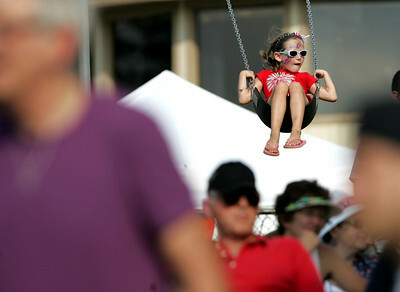 Kyle Grillot - kgrillot@shawmedia.com Samantha Andersen, 6, of McHenry swings above the crowds during the Wonder Lake 4th of July Water Ski Show at Center Beach. 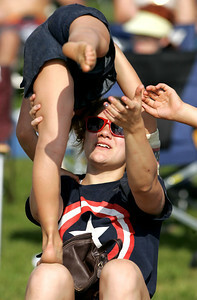 Kyle Grillot - kgrillot@shawmedia.com Morgan Mahan (center) holds Addison Rishling, 7, while she immitates the performers at the Wonder Lake 4th of July Water Ski Show at Center Beach. 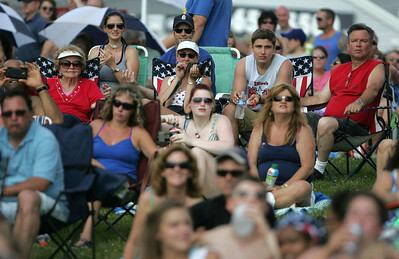 Kyle Grillot - kgrillot@shawmedia.com The crowd watches during the begining of the Wonder Lake 4th of July Water Ski Show at Center Beach. Kyle Grillot - kgrillot@shawmedia.com Skylar Rishling, 3, of Wonder Lake plays in the sand towards the end of the Wonder Lake 4th of July Water Ski Show at Center Beach. Kyle Grillot - kgrillot@shawmedia.com The Wonder Lake Ski Team performs a stunt during the Wonder Lake 4th of July Water Ski Show at Center Beach on East Lake Shore Drive. 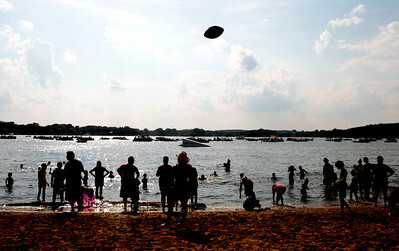 Kyle Grillot - kgrillot@shawmedia.com The crowd takes to the beach during an intermission of the Wonder Lake 4th of July Water Ski Show at Center Beach. 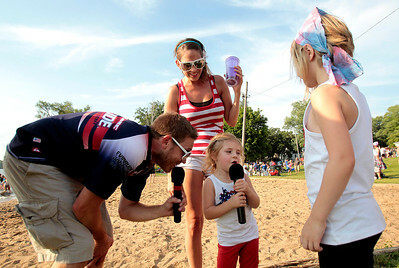 Kyle Grillot - kgrillot@shawmedia.com Brynnlee Shulda, 2, (center) says a few words to the crowd with the Wonder Lake Water Ski Team announcer Adam Treasure (left) Shaleigh Fallaw, (center-rear), and Kari Webb, 7, after the end of the Wonder Lake 4th of July Water Ski Show at Center Beach. 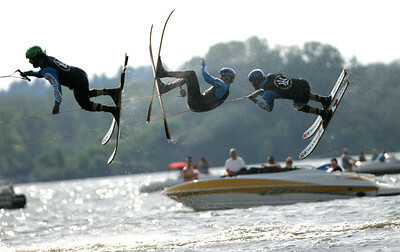 The Wonder Lake Water Ski Show Team performs durning the Wonder Lake 4th of July Water Ski Show at Center Beach.